Walkthrough for exam of Defence Against the Dark Arts O.W.L. 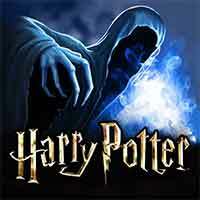 Answers Harry Potter Hogwarts Mystery – test your your familiarity with the incantations and uses of defensive spells in this Ordinary Wizarding Levels (O.W.L.s) ! remember to revise and prepare with your friends before you do it, because the answer for each question is in there ! so get a good grade to decide for follow-up careers advice ! What is the incantation for the Snake-Vanishing Spell ? In which of these scenarios would you use the Impediment Jinx ? What does the Reductor Curse do ? What is the incantation for the Tongue-Tying Curse ? Harry Potter Hogwarts Mystery Defence Against the Dark Arts O.W.L.